On October 19, 2012, Golan Levin gave a presentation at FITC's Emerging Technology and Advertising event in Toronto titled New-Media Artists are the Unpaid R&D of Ad Agencies . It was a provocation meant to spur dialogue between advertising agencies and new-media artists. Since we at Wieden+Kennedy work with new media artists (and employ a few) and some work we've done was mentioned, we wanted to contribute to the discussion, because misunderstandings on each side of the line between art and advertising have the potential to sour relationships that should be awesome. 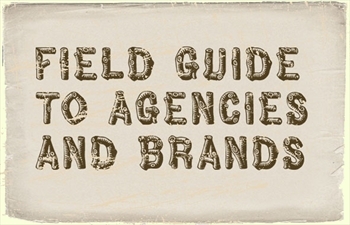 I joined with Renny Gleeson , W+K's global head of interactive strategy, to co-author an introductory guide to dealing with big brands in partnership with an ad agency like Wieden+Kennedy. It's an open letter to the creative tech community explaining what's important to brands and why, so we have a common language to help us get out of the woods and into some great work. We hope this offers directional guidance to help build productive, creative relationships. Read the article here .